Is your conservatory too cold in the winter and too hot in the summer? Then why not enjoy the living space in your glowing conservatory all year round? 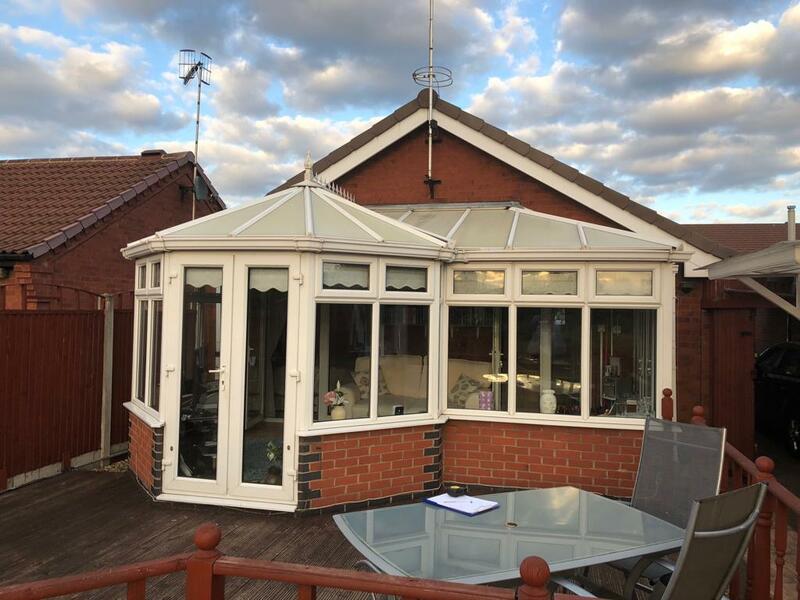 A quick installation process of replacing your existing old technology polycarbonate or glass roof with a fully insulated, lightweight tiled conservatory roof. 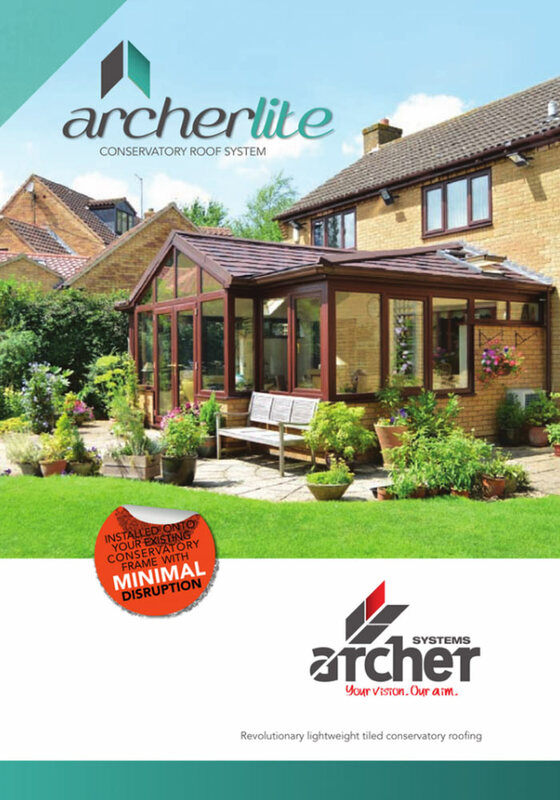 Archerlite is an innovative solid-tiled conservatory roof system packed full of insulation that in most cases can be placed on top of your existing conservatory frame. This revolutionary lightweight roofing will provide owners of tired, old and energy-inefficient conservatories with the perfect solution to have an ambient temperature every day of the year – meaning no more seasonal temperature fluctuations! 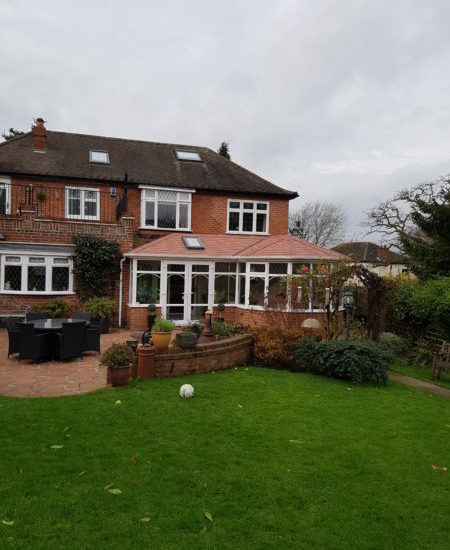 As you can see from the before and after shots above, a new tiled roof can make a big difference to the look of your conservatory and your house. 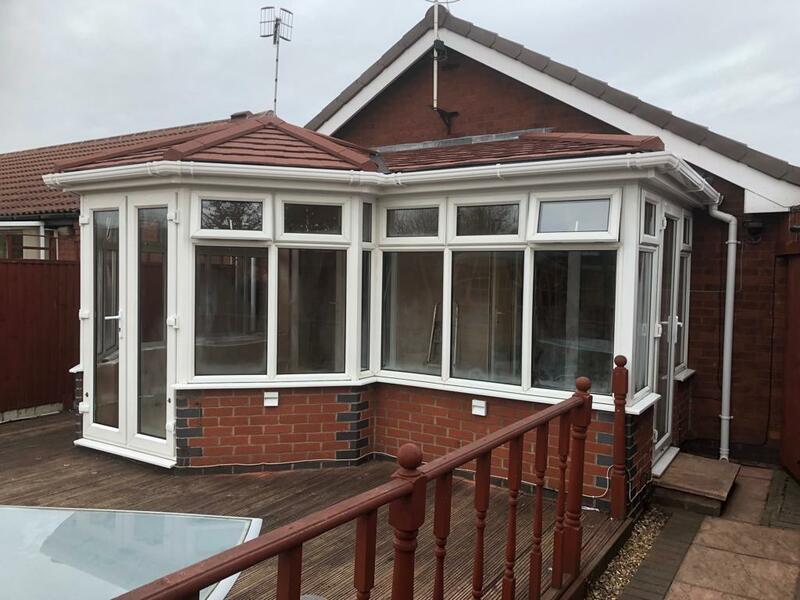 Instead of looks like a later addition, a tiled roof can make your conservatory look like a permanent part of your house, integrating it seamlessly with the rest of the building. Not only will your conservatory look better, it will also feel cosier and more permanent. Want to learn more about our conservatory roofs? Then why not call into our extensive showroom and have a look for yourself, or call our friendly team today for your free quotation. At KLG Rutland we are proud of our Archerlite tiled roof system because once fitted it will make a significant contribution towards reducing the carbon footprint of your property. It provides the optimum in heat-loss insulation levels to your conservatory and, with a vast noise reduction from rainfall, makes it the ‘sound’ choice when it comes to contemporary conservatory roof replacements. UV stabilisation ensuring a ‘stay-true’ colour richness.